In my opinion the best way to explore Ireland is by car! Especially here in Ireland, I would highly recommend getting a vehicle, because otherwise you might miss the impressive coastline and it’s natural beauty. It is also quite easy to get a car, because in almost every bigger city you have several rental car options. One important thing which you have to be aware of: You’ll need to drive on the left hand side and also note, that you have to book your car in advance. In case you’re not used to driving on the left, don’t worry! An automatic car can be a big help, even if you’re trained to drive a manual car at home on the right hand side. But what is so special about the WILD ATLANTIC WAY? First of all it is the longest defined coastal route in the WORLD! Secondly, on your way you will see loads of Ireland’s most impressive landmarks: Experience laid –back villages and make your way through terrific landscapes. 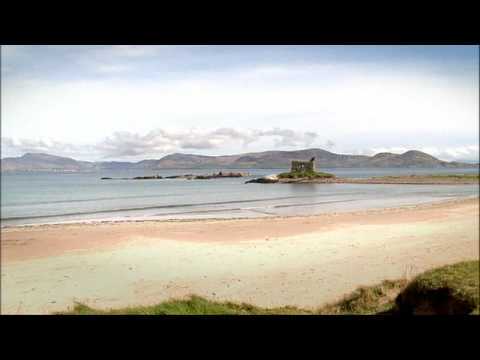 Make a stop at the Ring of Kerry, Cliffs of Moher, Galway, Connemara, Slieve League, Benbulben Mountain, Inishowen Peninsula and Derry. The WILD ATLANTIC WAY winds its scenic way along the west coast from the beautiful town of Kinsale up to the Peninsula Inishowen in the North. Instead of making your way up north you can also swim against the stream and take the route heading south. The whole route leads you through the Republic of Ireland and is about 2500 km long. But there is no need to do all of it at once. If you have the time and you’re planning on doing the entire WILD ATLANTIC WAY up North, I would also absolutely recommend going to Derry. Derry is the second largest city in Northern Ireland and over 1500 years old. Walk along the old walled city and learn more about it on the award winning city walking tour. Here you have to keep in mind though, that you’ll be using another currency: The British Pound Sterling. If you don’t plan on going to Northern Ireland feel free to take a turn to another shorter route - and do your trip on the WILD ATLANTIC WAY in whichever way suits you. Just look for a region that looks interesting and get started – and maybe you’ll want to come back and do another section/part of the route another time. So go for it and explore the rural part of Ireland! If you would like to get more information on this don’t hesitate and contact us today!